January 24, 2019 by Andrew Prince, Esq. It’s common knowledge that riding on a motorcycle is inherently riskier than driving in a full-sized vehicle, but it may come as a surprise that the majority of bike-related accidents typically involve a passenger vehicle. In about 67 percent of these accidents involving other motorists, the other vehicle has directly caused the accident by violating the biker’s right-of-way. 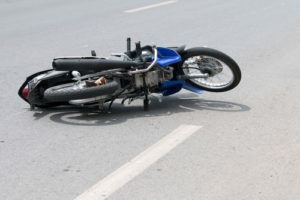 Following are some of the most common causes of fault in motorcycle accidents and a detailed description of who would be held liable in each situation. When another car collides with a biker, the most likely culprit is driver negligence on the part of the full-sized vehicle’s driver. Most collisions with bikers occur when the other driver fails to give the biker their right-of-way. In other cases, the other driver fails to see the smaller vehicle. When injuries or property damage results from these types of accidents, the other motorist will be held liable for the damages. At times, bikers may be held liable for damages associated with an accident when they were driving negligently. Some bikers have been known to ride recklessly and put other motorists in danger. According to statistics, about 25 percent of motorcycle-related accidents occur when the biker collides with a fixed object or the roadway rather than another car. Surprisingly, only about three percent of all motorcycle-related accidents are attributed to vehicular failure. When vehicular failure occurs, bikers are most likely to lose control but not hit another car. If damages are present in the accident, then it’s possible the manufacturer of the bike will be held liable. If courtrooms find that the vehicle was defective due to improper maintenance or driver error, then the driver may be held liable for the accident. It’s important to understand that knowingly driving a car in need of repair is considered negligent behavior. Surprisingly, roadway defects account for only about two percent of all motorcycle accidents. When poor road conditions contributed to your crash, it may be possible to collect compensation from the governmental agency tasked with keeping the road safe. It may also come as a shock that adverse weather was not a factor in over 98 percent of biker accidents. Did you or a loved one sustain serious injuries due to a motorcycle accident in New Jersey? Don’t let the medical bills pile up while you wait for the negligent party, or their insurance company, to do the right thing. Right now, you need an aggressive personal injury attorney on your side, fighting to get you the compensation you need, want, and deserve. The skilled attorney Andrew Prince, Esq. of Team Law, represent clients injured because of motorcycle accidents in Hoboken, Union City, Jersey City, Newark, and throughout New Jersey. Call (908) 304-9187 or email us to schedule a free consultation about your case. We have an office conveniently located at 136 Central Avenue, Clark, New Jersey 07066, as well as offices in West New York, NJ.